Barnes Wild Bluff Oysters is New Zealand’s definitive oyster company supplying the freshest and finest oysters year after year. Barnes Oysters was founded by oyster connoisseur Ernest Barnes in 1958. 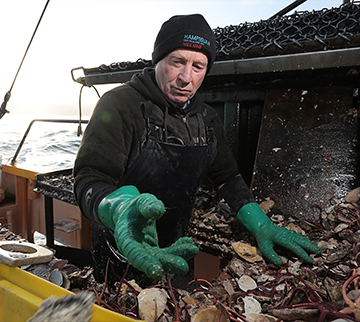 With a wealth of industry knowledge and experience, Ernest saw Barnes Oysters move from strength to strength and soon became a household name amongst seafood lovers nationwide. Ernest’s innovation and passion for the oyster industry and the exceptional quality and taste of wild oysters continues to guide our values today. From our base in Invercargill, New Zealand’s southernmost city at 46.4131° S, 168.3475° E, we hold our roots and grand history dear. Our purpose built factory supplies the country with top quality product seasonally and is also licenced to export to Australia and China. For more than 55 years we have upheld and escalated the same household name so that, to this day, people know if you want the best oysters, you want Barnes Wild Bluff Oysters. 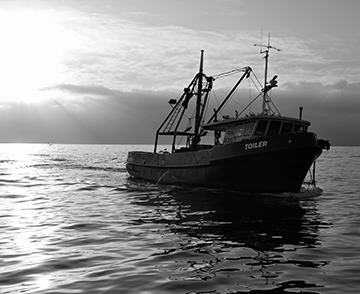 Our fleet of eight oyster boats is owned by a number of committed shareholders. The combined quota ownership of our shareholders represents approximately 60 percent of the total Bluff Oyster fishery quota. We also process on behalf of other Bluff oyster quota owners – representing an additional six percent of the total fishery quota.